RNS Cancer and Heart Fund Does It Again. And Again. And Again. RNS Cancer and Heart Fund president Audrey Fischer presents the key to the MV-1 to Bacharach president and CEO Richard Kathrins. Thanks to a generous donation from the Ruth Newman Shapiro Cancer and Heart Fund (RNS), Bacharach Institute for Rehabilitation has added two new transport vans to its fleet. The new Ford MV1 vans are considered state of the art for accessibility in transportation. 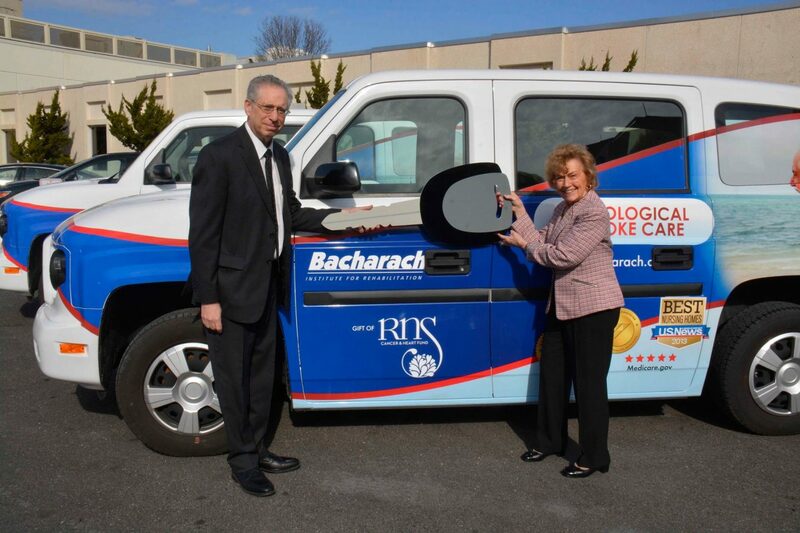 Each year Bacharach’s fleet makes over 15,000 one-way trips, transporting patients to therapies and then back home. Demand for transportation services has grown steadily over the years, at an annual rate of five percent. Today, Bacharach has 11 accessible transportation vehicles, and 9 of those vehicles were gifts from RNS in the last 10 years. RNS has gone above and beyond for Bacharach in the past year and half. 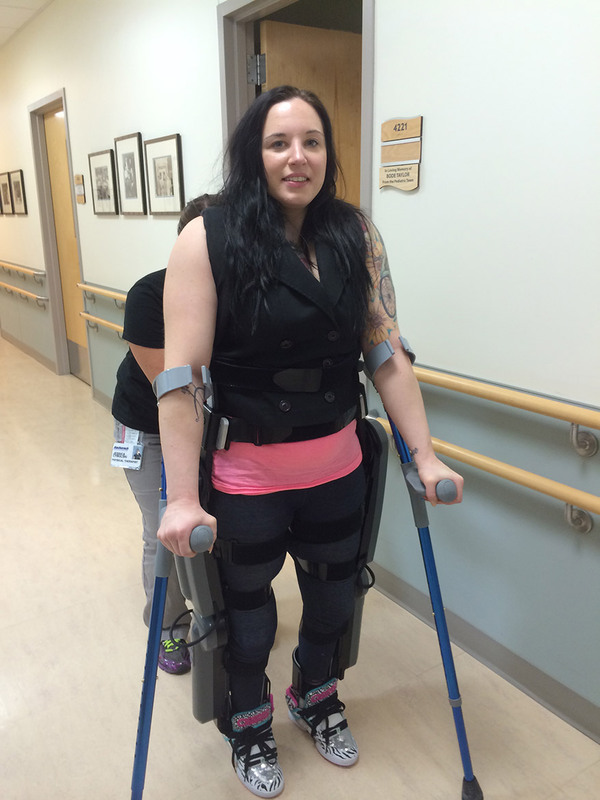 In addition to $70,000 for the two new vans, they have also provided a ReWalk, a robotic exoskeleton that enables people with spinal cord injuries to walk. The $75,000 ReWalk was a special purchase, as it has been shown to provide great cardiovascular benefit to people who normally spend most of their time in wheelchairs. The RNS Board enthusiastically endorsed the purchase of this extraordinary equipment for us. RNS, an all-volunteer organization started in 1961, has raised more than $15 million to fund programs, services, and equipment purchases for hospitals in the region. The group is named for Ruth Newman Shapiro, a vital young woman who abruptly and tragically passed away from cancer in her mid-thirties. Ruth’s mother, Rose Newman, established RNS in her honor. RNS has recently expanded its mission to include a focus on providing support for medical research groups working to find cures for cancer and heart disease.